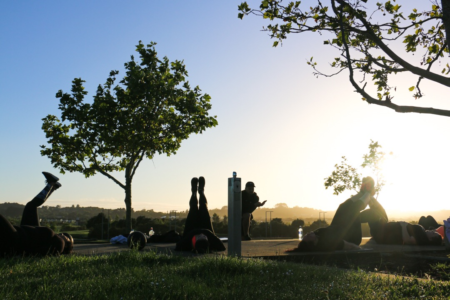 The last time we checked, Peter Young, Howick Local Board member for Botany, has been working hard at getting the community involved in a free fitness programme. The Botany and Flat Bush Ethnic Association that he founded last year to get local communities to integrate better, kick-started with a free workout programme on Saturday mornings at the Ormiston Activity Centre. Following which members got a chance to play badminton and table-tennis at a badminton court in East Tamaki. Personal trainer Eric Wang, with the support of fitness enthusiast Will Liu, got the adrenalin pumping as he created a well-designed wellness programme and gradually got more members of the community actively moving to his beat. Young’s physical fitness programme for the community has gathered momentum at the onset of 2019. 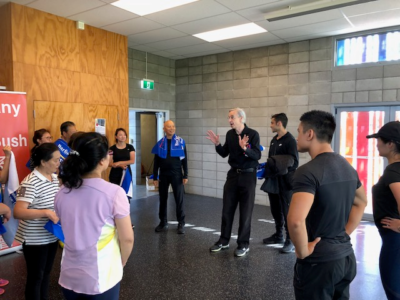 With medical sociologist, author and teacher at Botany Downs Secondary College Robert Bartholomew joining in as vice-president of the Botany and Flat Bush Ethnic Association, Young has arranged for a free weight loss camp with trainer Jacques Bartholomew. The camp will be held every Sunday from 7.30am-8.30am at the park near the Ormiston Activity Centre. “Starting from Sunday February 3, we will begin a weight loss training camp, free of charge to promote health and wellbeing of our community. Those looking to lose fat and form healthy habits, be sure to come along,” says Young. As part of the fitness regime there will also be a fun walk every Saturday from 8am-9am with Bartholomew. The locations will vary and will be announced in the newsletter. The body training sessions will continue with Will Liu. They will be held on Fridays from 8.30am-9am–instead of Saturday at the Ormiston Activity Centre. A dance workshop by Dr Rajesh will also be held every Saturday at the same venue from 9am-11am where participants can learn some cool Bollywood moves and low intensity dance sequences while sweating it out. “I’d like the community to make full use of the free fitness programmes we have designed. There’s nothing like keeping fit whilst having fun,” says Young, 72.